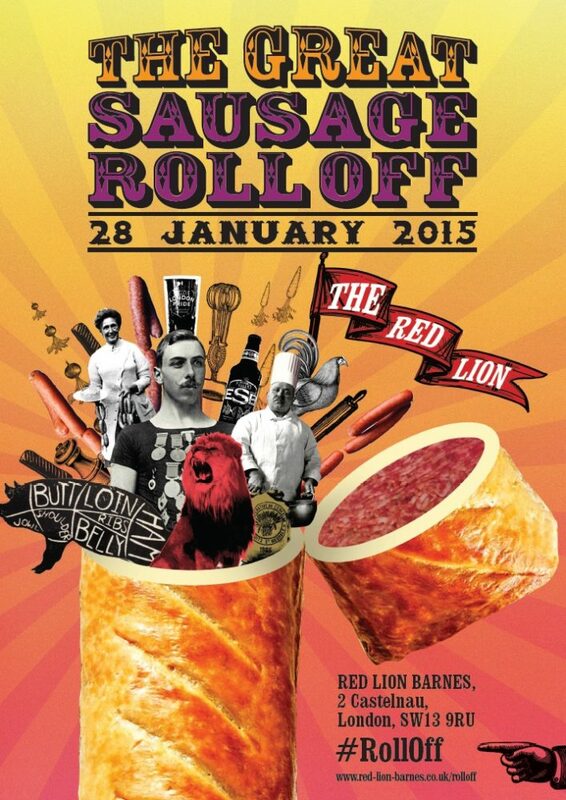 Back for its third year, The Great Sausage Roll Off at The Red Lion, Barnes will be taking place at 7:30pm on Wednesday 28 January 2015. Hosted by beer sommelier and food writer Melissa Cole, chefs from London and beyond have been invited to create the ultimate sausage roll. Joining returning judge Charles Campion [food critic], the judging panel will also include Gary Usher [Head Chef and Owner of the Sticky Walnut], Edd Kimber [first winner of the BBC Two series The Great British Bake Off 2010] and Charley Boorman [runner up of Celebrity Masterchef 2014].